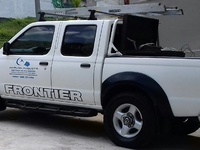 Electrical panel & main cable upgrades, bonding of steel roofs to your earth rod, interbonding of all communication systems to your electrical system(digicel, green dot, massy comm. )THIS IS NOW A REQUIREMENT OF THE ELECTEICAL INSPECTORATE & TTBS, replacement of galvanized earth rods with the new 5/8"X 8FT. copper rod,let's get the integrity of your electrical system checked and upgraded to the current electrical code, Air condition, CCTV & Electronic Lock Installation & Services. Licensed wireman TTEA registered. When You Need it done right the first time. Call now and make your orders today! We sell all items listed as well as many more that are not listed! 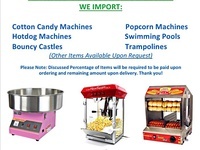 Anything you would like to import contact us and we can import it for you!